Movement disorder surgery (MDS) in India is an arm of stereotactic and functional neurosurgery that has undergone rapid strides in recent years. It is a tale of some enterprising neurosurgeons who were brave enough to use varying techniques, from free hand technique to frame based systems; to create unilateral and bilateral lesions, or even simultaneous bilateral lesions; using alcohol to radio- frequency lesioning; from pallidum to field of Forel, to ameliorate movement disorders. Their effort has lead to the current boom in the cases undergoing MDS across the country and its increased demand, along with the rapidly increasing medical tourism. It, thus, seems pertinent that this enigmatic and dynamic field be given its share in the spotlight. Neurosurgery and surgery for movement disorders is the result of the hard work of many pioneering neurosurgeons who were exposed to stereotactic and functional neurosurgery training abroad, which allowed them to develop this field in parallel with international improvements and even apply innovations of their own. While MDS developed in many parallel centers, we, in this article, are accounting for the most prominent developments but not necessarily in chronological order. Any omission is, thus, unintentional. The first recorded procedure was by Dr. Chintan Nambiar, who performed a freehand chemopallidotomy by using a temporal region template. This was in the 1940's. Despite the rather primitive infrastructure, he performed 74 cases of which 27 had excellent results. While Christian Medical College, Vellore had the first neurosurgical set-up in the country in 1949, they started performing surgeries for Parkinson's disease and epilepsies in 1962. Dr. Jacob Chandy [Figure 1] along with Dr. Baldev Singh, a neurologist, acquired the Bertrand stereotactic guide and started performing surgeries for Parkinson's disease. Initially, using the freehand technique, and later using the Bertand frame, surgeries for Parkinson's disease and dystonia were being performed. Globus pallidus was the initial target and was later changed to the thalamus. The freehand technique involved, initially, localizing the foramen of Monro using pneumoencephalograms, followed by localizing of the pallidal target based on stereotactic atlas derived coordinates. Anteroposterior and lateral radiographs were used for identifying the targets. The lesions were made using absolute alcohol in incremental doses whilst checking for neurological deficits. Meanwhile, almost simultaneously, Dr. Ramamurthi [Figure 2] started the neurosurgical department at Madras Medical College in 1950, which would later on become one of the pioneering centers for functional neurosurgery. Drs. Ramamurthi and Balasubramaniam performed the initial surgeries using the Cooper's balloon. However, a serendipitous dinner meeting with the then Governor of Hyderabad, General Shriganesh, helped them invite Drs. Lawrence Walsh and Denis Williams from the UK for a training workshop on movement disorder surgery and also import the equipment used for the procedures [Figure 3]. This Leksell stereotactic apparatus along with the lesion generator provided a major boost and the center became the leading stereotactic center. Around 1700 procedures, including more than 850 thalamotomies and more than 480 amygdalotomies, were performed between 1959 and 1975. Following the work of Dr. Narabayashi, Dr. Balasubramaniam [Figure 4] started operating on cerebral palsy and choosing targets based on the patient's predominant symptom. For example, rigidity predominant symptoms lead to a lesion in the area below the ventrolateral nucleus (VL); for dyskinesias, a variety of targets were used including the ventralis intermedius nucleus (VIM), the centromedian nucleus (CM) and the dentate nucleus of the cerebellum. As these cases were being done under general anesthesia, the verification of electrode placement, as is done in Parkinson's disease, was not possible, and therefore, stimulation to rule out placement in the corticospinal tract was done. Stereotactic dentatectomy for spasticity predominant patients was introduced. While VL and sub VL lesions were effective for rigidity, in patients with a mix of rigidity and spasticity, these lesions had to be supplemented by a dentatectomy. Centromedian thalamotomy was effective for patients with sensory induced involuntary movements. Dr. Kanaka later described hypothalamotomy for severe hyperkinetic disorders. She hypothesized the effectiveness of hypothalamotomy by attributing its relation to the limbic system. She also noted that the clinical result was more on the ''effector'' side. In her series, the lesion did not cause any morbidity. Thus, in the management of hyperkinetic behavior disorders, the first target to be destroyed was ascertained to be the amygdaloid nucleus, and if this operation failed, then hypothalamotomy was recommended to be subsequently done. 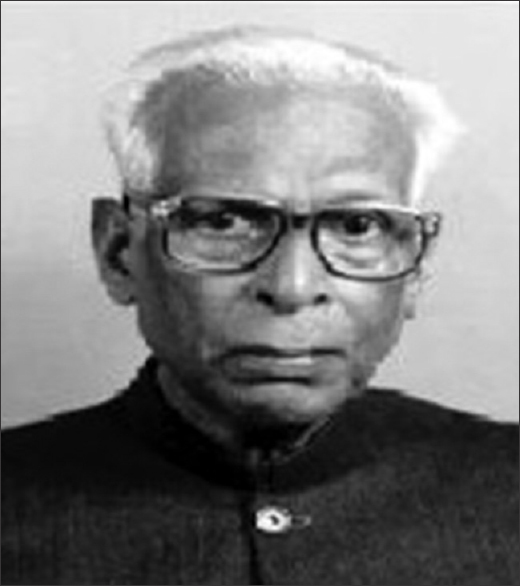 The effects of Dr. Ramamurthi's efforts were widespread. In 1970, Dr. S Kalyanaraman [Figure 5], started the simultaneous use of the Leksell stereotactic equipment in combination with the Sehgal stereotactic equipment to perform the simultaneous recording from the thalamus, thus reducing the operative time. 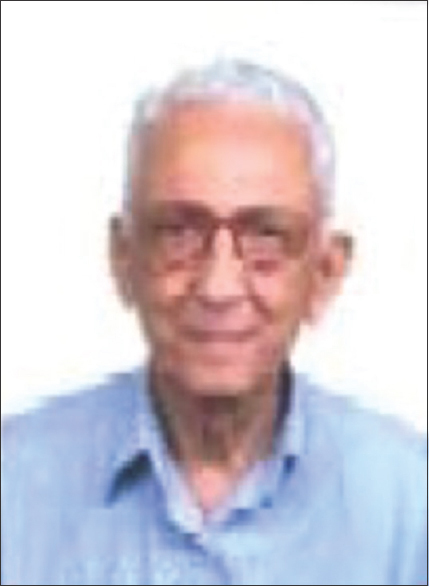 Dr. Arjun Sehgal had designed the compact burr hole based stereotactic device known as the Sehgal frame. Using this method, simultaneous thalomotomies were performed in cases of bilateral intention tremors, with complication rates that were no more than the rates that were seen in staged procedures. The need for a prolonged hospital stay and for double admissions reduced considerably. An opaque marker was introduced into the site of the lesion, and an immediate postoperative radiograph was undertaken to ascertain the exact location of the lesion, which was charted with the help of the atlas prepared by Drs. Schaltenbrand and Bailey. Thus, apart from assessing the exact site of lesion, the effects of lesioning at a particular anatomical site could also be known. Minor differences were noted in the anatomical calculations of deep brain structures in different races and ethnic groups. In 1958, Dr. RM Varma's efforts led to the formation of National Institute of Mental Health and Neurosciences (NIMHANS) from the former All India Institute of Medical Health, Bangalore [Figure 6]. Trained in Bristol, he started performing lesions for Parkinson's disease using a freehand technique through the foramen ovale. This was modified based upon the technique described by Dr. Arthur Ecker and Dr. Theoder Perl. It involved the use of two needles: the outer and slightly curved 19G needle, to cannulate the foramen ovale; and, the inner, 26G needle to perform the chemothalamotomy. The curve of the outer needle helped to direct the inner needle to the ventero-lateral thalamus. Lead pellets were used on the external canthus of the eye and in the internal auditory meatus to serve as markers. Antero-posterior and lateral radiographs were taken and superimposed on an atlas to create a topograph. Using this method, the distance of the ventero-lateral thalamus from the needle was obtained. The final adjustments to the needle position were thus made, followed by performance of the chemothalamotomy with absolute alcohol. The micro-lesioning effect in the form of tremor arrest was observed on needle placement. 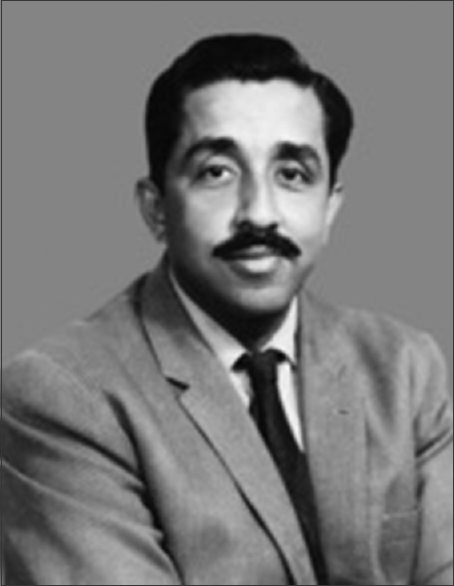 His work was later reviewed and analyzed by Dr. Muthane and his colleagues. They used magnetic resonance imagng (MRI) images to analyze the position of the lesion. In one postmortem case, they found the lesion was actually placed 1.5 cm below the thalamus and it coincided with the subthalamic nucleus. In 1980, Dr. Varma's team obtained the Leksell stereotactic equipment. Presently, deep brain stimulation for Parkinson's disease, tremors and lesioning is being performed on a regular basis at the institute. 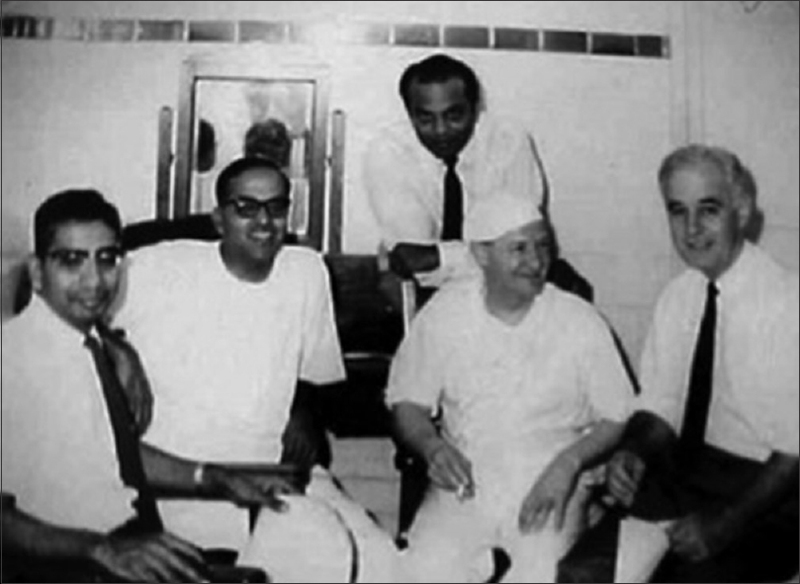 In 1959, King Edward Memorial (KEM) Hospital, Bombay (Mumbai) under the leadership of Dr. HM Dastur [Figure 7], started MDS. Initially Oliver's guide was used to as a map to perform lesions in the thalamus, pallidum and field of Forel for dystonia. When Dr. Narabayashi visited the KEM hospital in 1962, he lent the design of his stereotactic frame for fabricating a local frame on similar lines. Dr. Anil Desai, a neurologist associated with KEM neurosurgical department, assisted Dr. Narabayashi during his visit. The 'KEM lesion' was the serendipitous result of a planned Cooper's lesion for a patient with severe 'hyperkinesis'. Following the surgery, the patient had a remarkable improvement. Postoperative radiographic analysis, however, showed that the lesions were not in the intended area but were more in the ventro-lateral thalamus above the CA-CP (anterior commissure-posterior commissure] plane. Thus the 'KEM lesion', as coined by Dr. Gajendra Singh, was made using myodil and wax. Later when Dr. Singh shifted to Jaslok hospital, he invited Dr. Laitinen to visit him and demonstrate his pallidotomy operations. Bombay saw the development of another center for MDS. Dr. Bhagwati and his colleagues performed thalamotomies for Parkinson's disease in 110 cases, and 30 of these cases had undergone bilateral lesioning. Due to their large experience with bilateral lesioning, they reported some interesting findings. One of them was the reactivation of successfully abolished tremors on thalamic stimulation while performing surgery for the second side in Parkinson's disease. This was seen in 5 of the 30 cases in which they had performed bilateral thalamotomies at an interval of 6 months. Due to the re-appearance of tremors, these cases underwent a repeat lesioning, but had a poor recovery status and developed drowsiness, confusion and dysarthria. One of the cases developed pseudobulbar palsy and thus, when two more cases surfaced with recurrent tremor, re-lesioning was not done. Dr. Bhagwati later switched over to cryo-lesioning from diathermy. Many centers started surgery for movement disorders later, especially after the 1970s. Sree Chitra Tirunal Institute for Medical Sciences and Technology (SCTIMST) started performing pallidotomy with the Leksell frame and switched over to deep brain stimulation around the 1990's. Post Graduate Institute of Medical Education and Research (PGIMER), Chandigarh (1974), with the McKinney frame, and All India Institute of Medical Sciences (AIIMS), New Delhi (1977), with the Leksell frame started stereotactic procedures and later MDS. With the advent of levodopa, the number of lesioning surgeries for movement disorders reduced considerably in all parts of India. Recently, however, the introduction of deep brain stimulation (DBS) technique by Benabid et al., in the 1990s has seen a resurgence as the method of surgery for movement disorders. This has also been in part due to the realisation of the considerable side effects, on-off phenomenon and dose resistance to levodopa. An indigenous effort to develop an arc centered stereotactic apparatus was made from Pune. In 1991, Drs. Bose and Apte developed an arc-based stereotactic apparatus, which after modifications is now compatible with CT and MRI. A radiofrequency lesion generator was also developed in 1996. 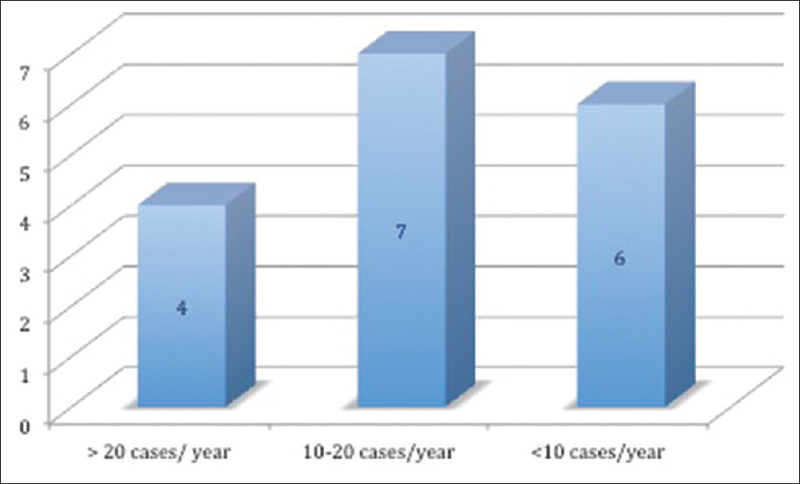 While lesioning surgery started declining in the 70s and 80s, the introduction of deep brain stimulation by Benabid et al., in the 90s along with the realistion of the limitations of medical management provided a fresh impetus and led to the reemergence of movement disorder surgery in India. While Dr. Paresh Doshi performed the first DBS in India in 1998, gradually DBS was taken up by multiple centers in the country including SCTIMST, NIMHANS, Nizam's Institute of Medical Sciences and AIIMS. The relative benefits of neuromodulation including reversibility, programmability and good results have contributed to its increasing awareness, while the cost involved has been a limiting factor in its widespread use. At present, DBS is being performed more frequently over the past few years, with more than 10 centers (both government and private) doing atleast 12-15 cases/year [Figure 8]. The Indian Society of Stereotactic and Functional Neurosurgery was formed in 1997 with Dr. Balasubramaniam as president and Dr. Vedantam Rajashekar as Secretary. It organises an annual conference alternating with a topical continuing medical education program. To further cement the growing awareness related to movement disorders, the Movement Disorder Society of India (MDSI) was formed in 2014 with Dr. Madhuri Behari as the president, with the primary objective of providing a common platform for awareness and greater understanding of movement disorders in India. Over the last decade, the introduction of the procedure of DBS for movement disorders, along with the resurgence of lesioning for selected cases, has led to an increase awareness regarding MDS. At present, neuromodulation in India is being primarily used for Parkinson's disease and dystonia., The first few cases of neuromodulation for Tourette's syndrome in India have just been published. The number of high volume centers performing DBS has increased from 1-2 to atleast 8-10 [Figure 1]. With an increasing life expectancy, the frequency of these disorders is increasing; and, a more aging population will require more functional neurosurgeons. Also, the ever-expanding indications for neuromodulation, including Alzheimer's disease, obsessive-compulsive disorders and other psychiatric indications, will further widen the spectrum of neuromodulation. While cost does remain a major problem, the increasing awareness of a therapy, which will improve the quality of life, will provide a major driver for neuromodulation in the future. Doshi, P.K. History of stereotactic surgery in India. in: A.M. Lozano, P.L. Gildenberg, R.R. Tasker (Eds.) Textbook of Stereotactic and Functional Neurosurgery. Springer Berlin Heidelberg, Berlin, Heidelberg; 2009:155-69. Kak V. Neurosurgery. In: Pandya SK, editor. Neurosciences in India retrospect and prospect. New Delhi: The Neurological Society of India; 1989. p. 577-641. Sridhar K. Prof. Ramamurthi: The legend and his legacy. Neurol India 2003;52:27-31. Narabayashi H. Physiological analysis of ventrolateral thalamotomy for rigidity and tremor. Confin Neurol 1965; 26:264-8. Kanaka TS, Balasubramaniam V, Ramanujam PB, Ramamurthi B. Stereotaxic surgery in cerebral palsy – A study of 57 cases. Neurol India 1970;18:56-9. Balasubramaniam V, Kanaka TS, Ramanujam PB. Stereotaxic surgery for cerebral palsy. J Neurosurg 1974;40:577-82. Balasubramaniam V, Kanaka TS, Ramanujam, PB, Ramamurthi B. Stereotaxic hypothalamotomy. Stereotact Funct Neurosurg 1973;35:138-43. 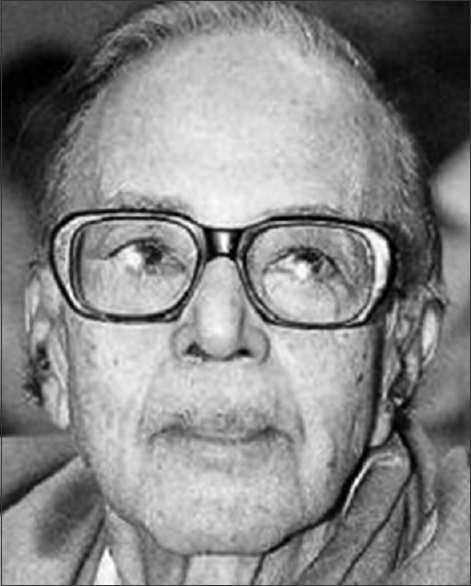 Kalyanaraman S, Ramamurthi B. Two machine stereotaxy. Neurol India 1970;18 (Suppl 1):53-5. 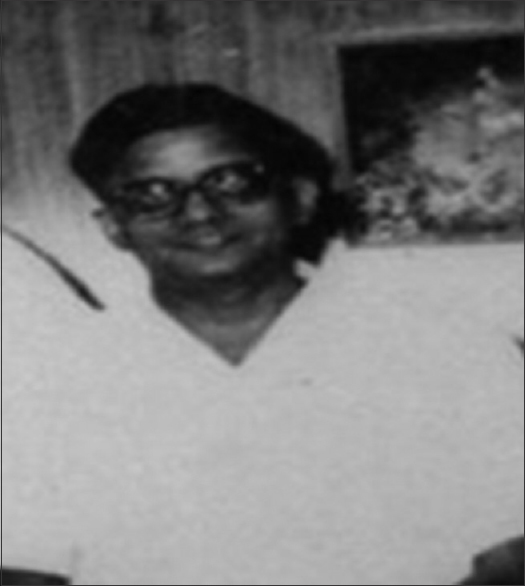 Kalyanaraman S, Ramamurthi B. Simultaneous bilateral stereotaxic lesions. Neurol India 1966; 14:151-3. 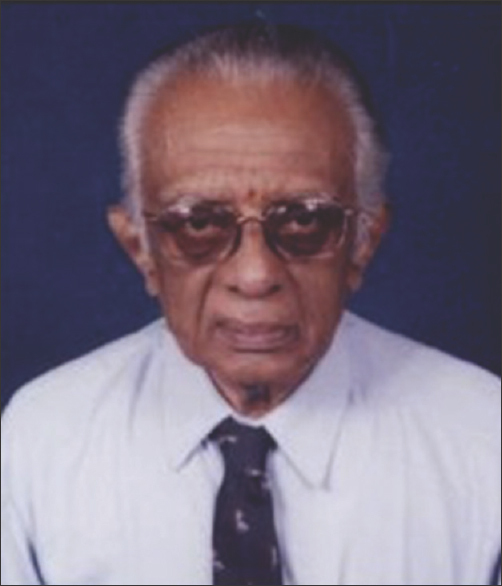 Kalyanaraman S, Ramamurthi B. The size of the third ventricle in British and Indian subjects. Neurol India 1970; Suppl 1:60-4. Ecker A, Perl T. Percutaneous injection of the thalamus in Parkinsonism. Arch Neurol 1960;8:271-8. Bhat DI, Devi IB. History of Neurosurgery at National Institute of Mental Health and Neurosciences: An epitome of steady growth. Neurol India 2015;63:91-5. Varma RM. Percutaneous chemothalamectomy for parkinsonism. Neurol India 1964;12:54-60;. Muthane UB, Varma RM, Sundarajan P, Hegde T, Jayakumar PN, Shankar SK. Percutaneous trans-foramen ovale approach to subthalamic nucleus (Varma's Technique): A shorter route and economical technique in surgical treatment of Parkinson's disease. Mov Disord 1998;13:71. Nadkarni TD, Goel A, Pandya SK. Neurosurgery in India. Neurol India 2002;48:332-5. Bhagwati SN, Singhal BS. Reactivation of successfully abolished tremors on thalamic stimulation whilst performing surgery for the second side in Parkinson's disease. Neurol India 1972;20(Suppl 2):166-8. Bhagwati SN. Stereotaxic surgery for Parkinsons's disease. Bombay Hosp J 1969;2:39-42. Doshi PK, Chhaya NA, Bhatt MH. Bilateral subthalamic nucleus stimulation for Parkinson's disease. Neurol India 2003;51:43-8. Borgohain R, Mridula RK, Tandra S. Deep brain stimulation in dystonia: The current status. Neurol India 2017;65:1234-5. Dwarakanath S, Hegde A, Ketan J, Chandrajit P, Yadav R, Keshav K, et al. “I swear, I can't stop it!” – A case of severe Tourette's syndrome treated with deep brain stimulation of anteromedial globus pallidus interna. Neurol India 2017;65:99-102. Doshi PK. Expanding indications for deep brain stimulation. Neurol India 2018;66: S102-12.